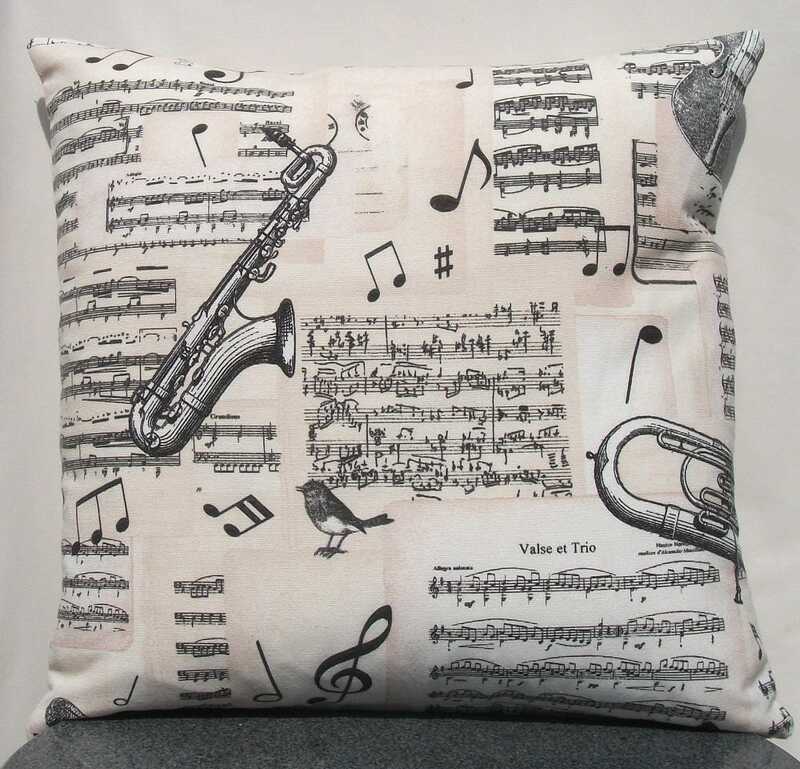 This is an eye-catching cushion handmade from high quality upholstery fabric sourced from Europe. 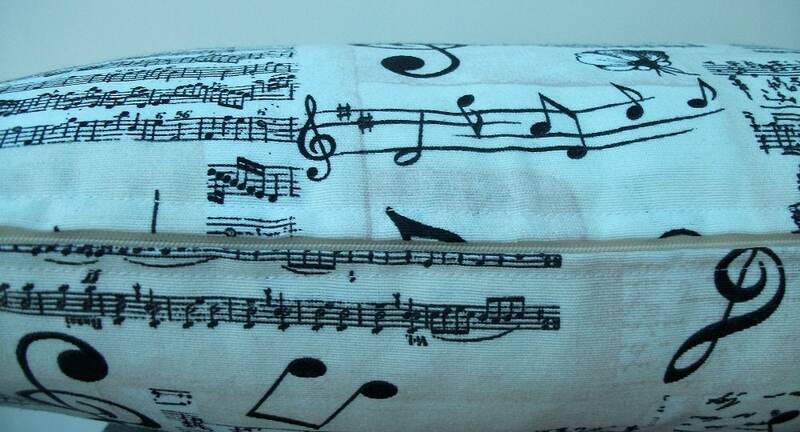 It has different musical instruments on both sides of the cushion, variations on a theme - harp, violin or trumpet! There is a concealed zip, placed at the bottom of the cushion so that the cushion can be displayed from either back or front ! 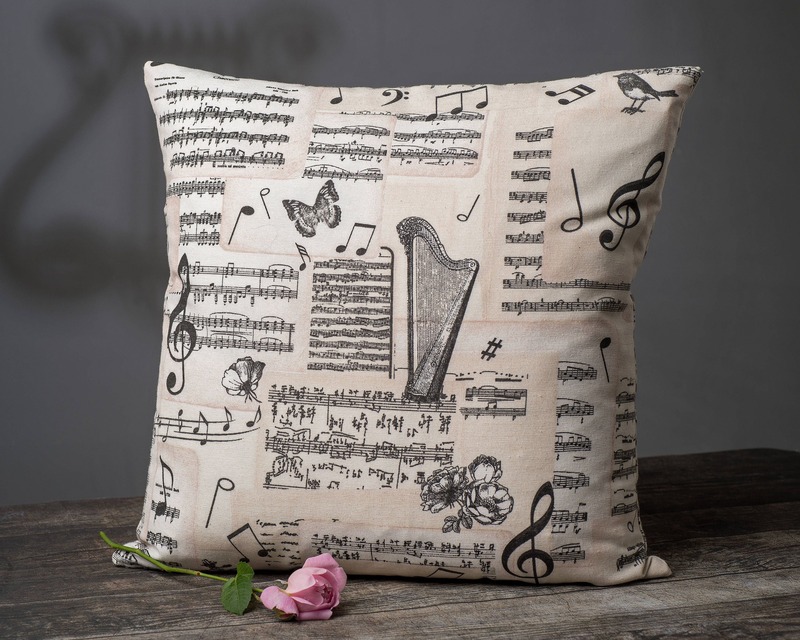 All of my music themed bags and cushions are named after composers and this gorgeous cushion was difficult to name because it is my favourite of all of them and the fabric pattern has snippets of so many lovely compositions on it . 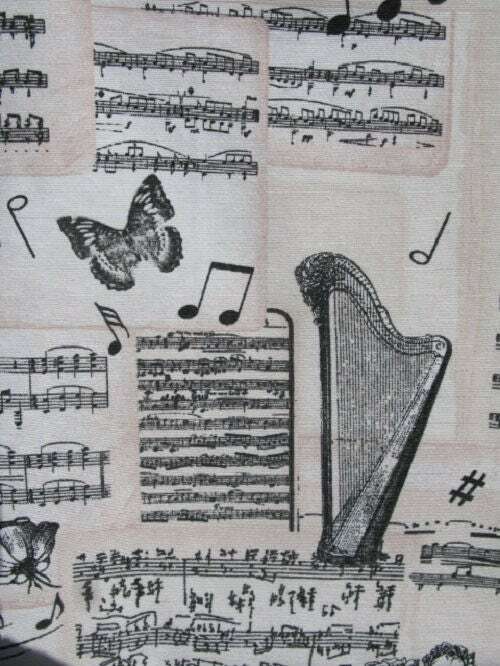 There is part of a Berlioz work, part of Rachmaninov's " Études-Tableaux" Op. 39, and many Bach pieces - 2 transcribed for guitar and his "Arioso" from Cantata BMV 156. So, "Bach" it is ! Besides, there were so many Bachs, everyone else was outnumbered! It comes in 3 sizes- 14 inch , 16 inch or 18 inch squared. Also vase and flowers are not included. 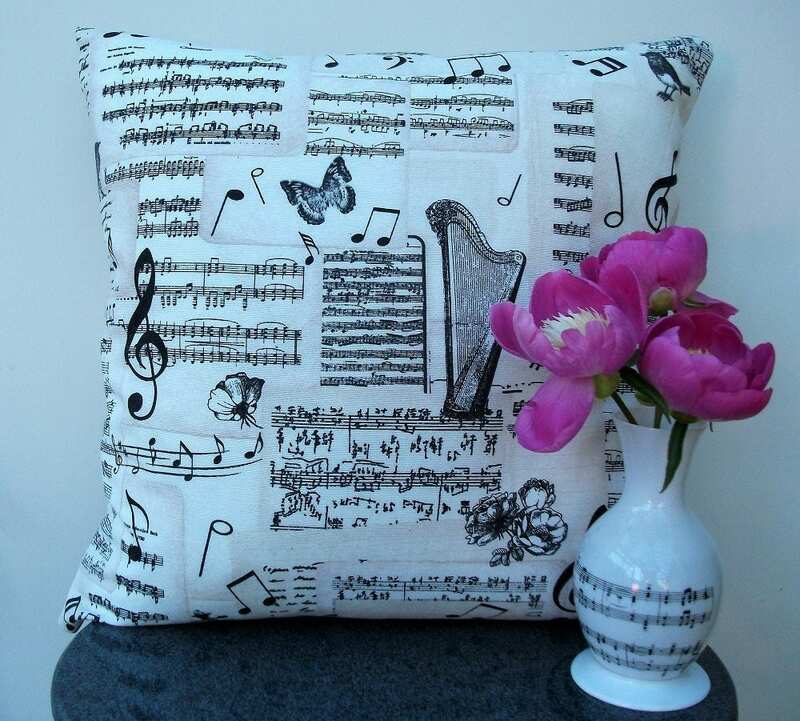 Bought 2 cushions for my music teachers as I am moving on to uni this year, they are lovely! Very comfortable material and nice print. There was a slight delay in receiving them but Geraldine sent an additional pack of stationary cards to make up for it. Would definitely recommend!